A new way to enjoy your favorite scents without lighting up. where you do not want an open flame. A Safer way to enjoy fragrances around children and pets. Specially designed to heat Jar Candles. as well as the bottom. and take much longer to get scent into the air. 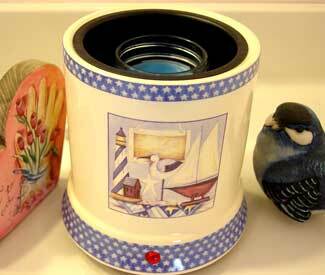 The "crock style warmer" is the Best Design for heating jar candles. evenly sending the fragrance through your home. These units will hold either our 8oz, 16oz, or our larger 32oz jar. 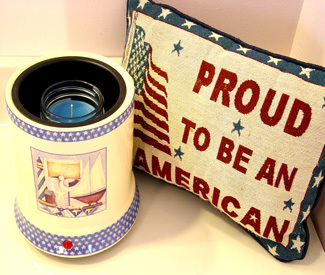 Yes, Yankee's large jar candle also fits with room to spare. This is a great item to use on all your half used jar candles. and enjoy the remaining scent in them.